This trashcan may be used to replace the in game outdoor trash can. 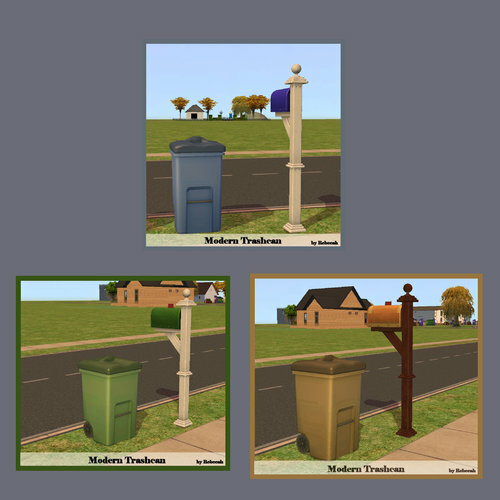 You must use the moveobjects on option to delete both the original outside trashcan and this trashcan. I have removed the kick can option and the pet options. No more trash laying on your streets. This is found under Misc/Misc for $50. I have also included two recolors, this is recolorable. The bottom portion of the trashcan is from Sims 3, the top I created myself.